Ayaan Hirsi Ali was born in Mogadishu, Somalia in 1969. As she grew up, she embraced Islam and strove to live as a devout Muslim. In 1992 Ayaan fled to the Netherlands to escape a forced marriage. There she was given asylum, and in time citizenship. She quickly learned Dutch and was able to study at the University of Leiden. From 2003 to 2006, Ayaan served as an elected member of the Dutch parliament. She then moved to the US, and in 2007 founded the AHA Foundation to protect and defend the rights of women in the US from harmful traditional practices. Ayaan is a Fellow with the Future of Diplomacy Project at the Belfer Center for Science and International Affairs at The Harvard Kennedy School, a visiting scholar at the American Enterprise Institute in Washington DC, and a member of the Council on Foreign Relations. 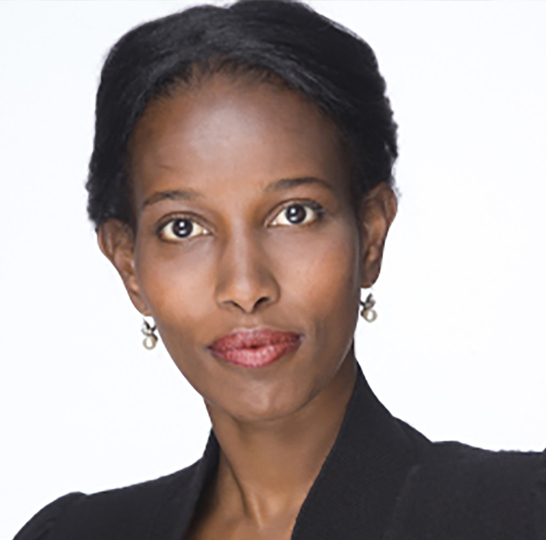 Ayaan is the bestselling author of Infidel (2007), and Heretic: Why Islam Needs A Reformation Now (2015).